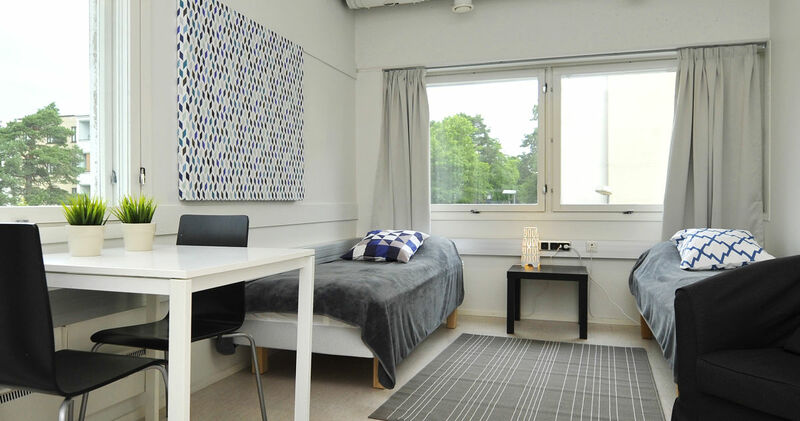 Hostel, located in the Kivenlahti bay in Espoo, offers affordable accommodation in the vicinity of services and transportation. Some of the apartments provide a direct sea view. 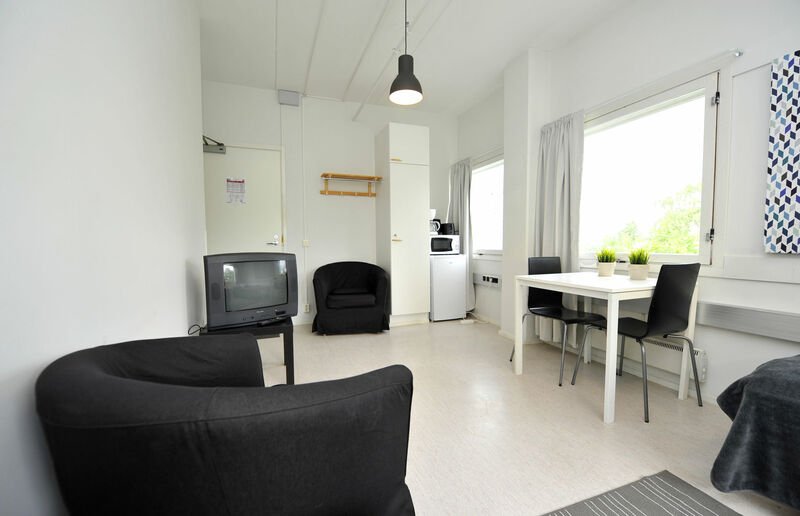 You can choose from smaller rooms with basic furniture to larger rooms with kitchenettes. The building features a practical code locking system, which means that you do not have to carry a key. 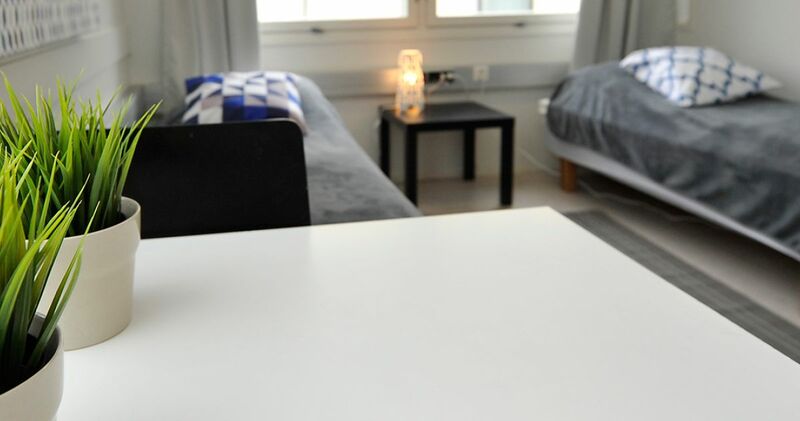 Our rooms also feature a free wireless internet connection! 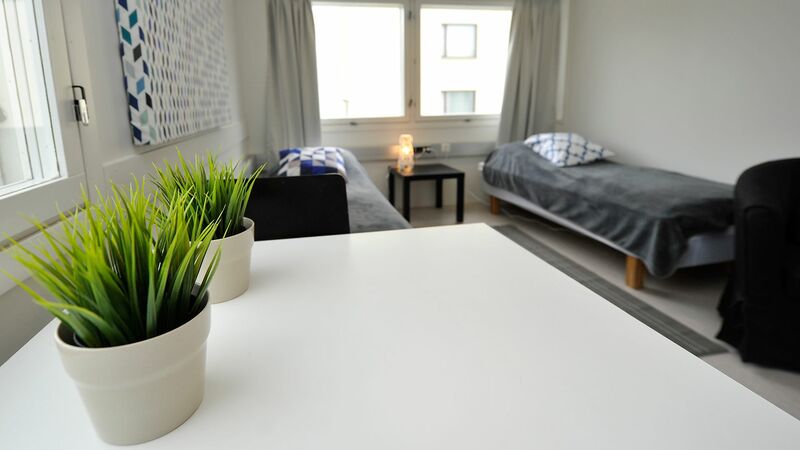 Every square metre of each room has been utilised efficiently. 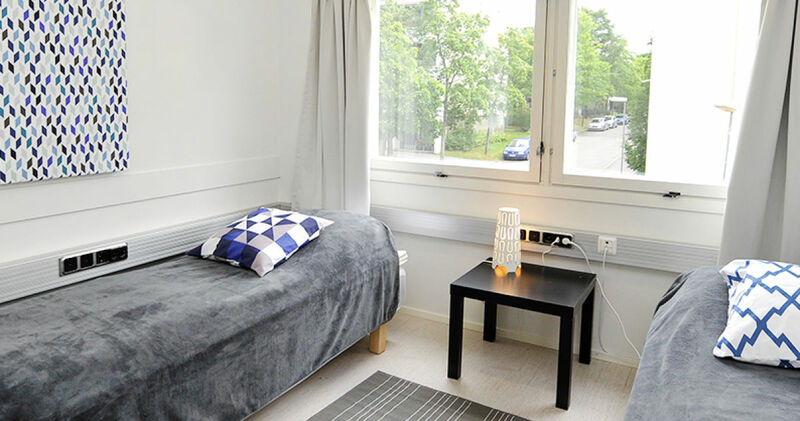 Basic furnishing features two beds, a small table, two chairs and a wardrobe. 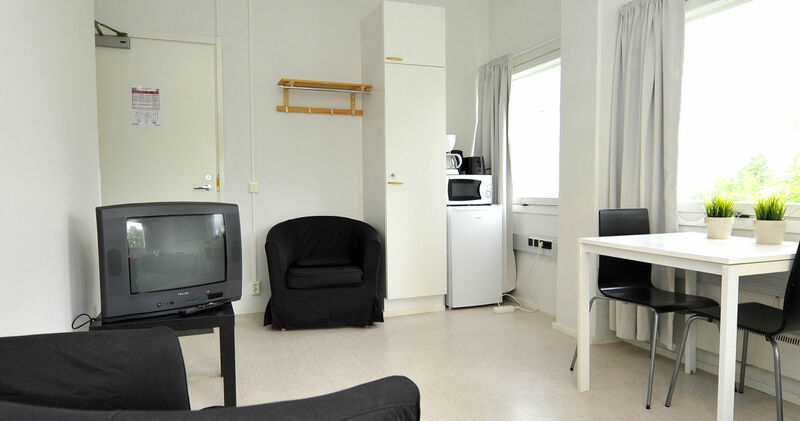 The room also includes a refrigerator, a microwave oven, a coffee machine, an electric kettle, as well as dishes for basic cooking needs. The walls are white and the surfaces feature a beautiful finish. Floors feature either linoleum or laminate flooring. When making a reservation you can choose bed sheets or a cleaning service from our service catalogue to make your stay even more comfortable. 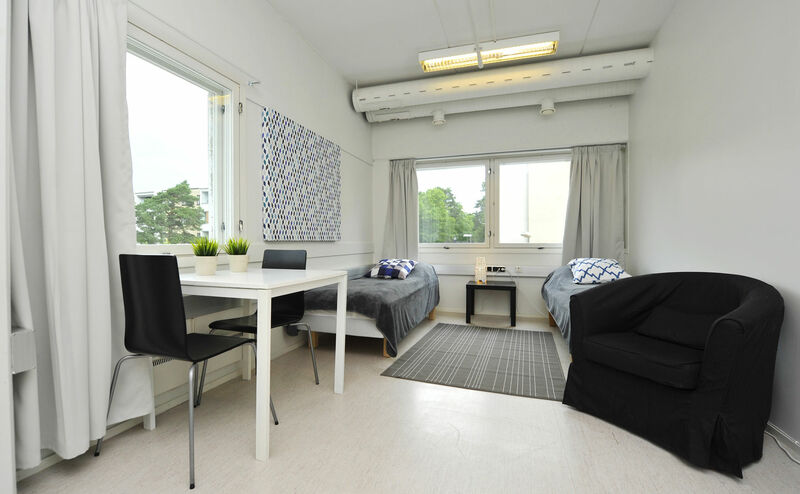 The building has communal kitchens, WC and shower rooms for men and women, as well as a laundry rooms located along the hallways. The yard of the building includes parking for residents with cars. 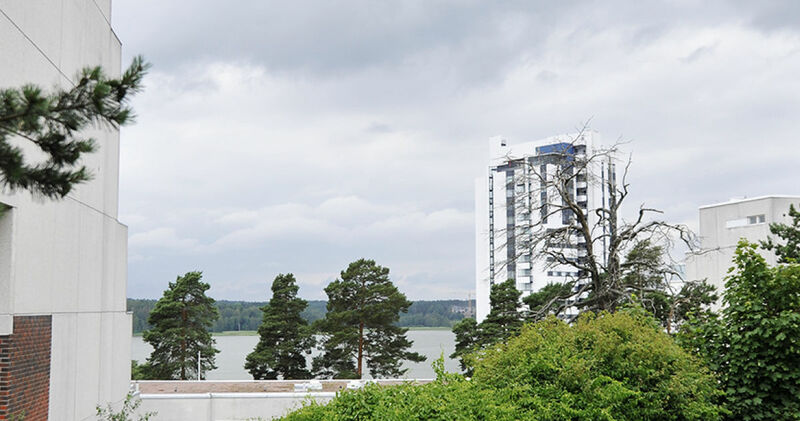 The Länsiväylä highway is located near the property, and public transportation to Espoo and Helsinki is not far, either. 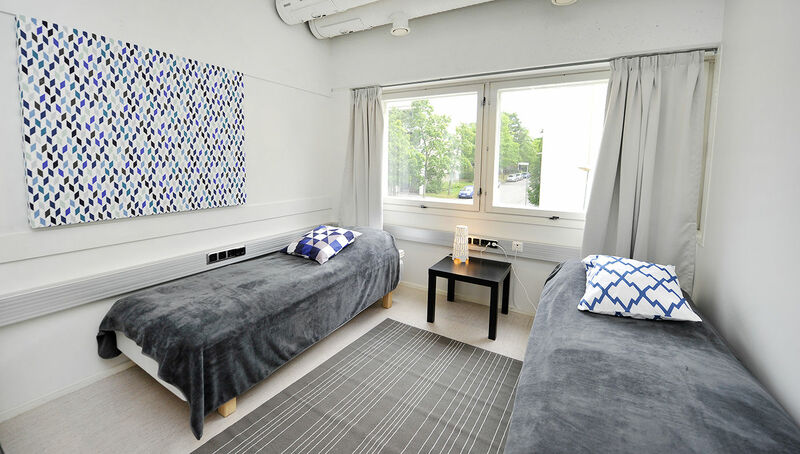 Espoo Kivenlahti Hostel features a total of 36 private rooms of various sizes. 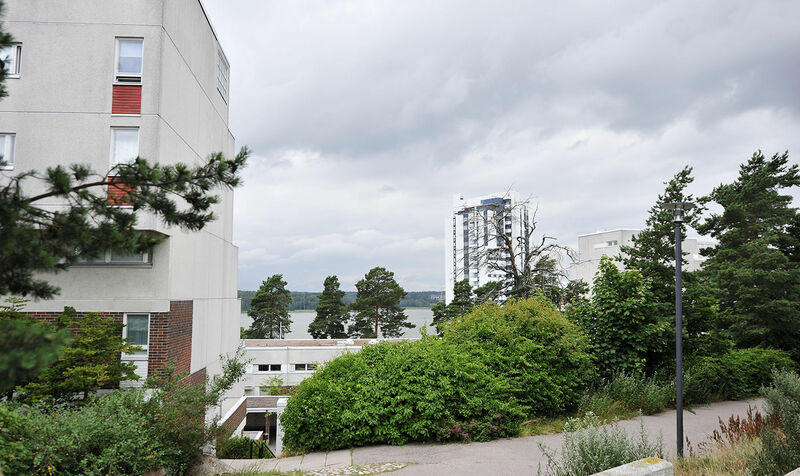 The building is located in a serene location by the sea in Espoo's Kivenlahti with excellent outdoor recreation opportunities, including a sand pitch just 200 metres away.